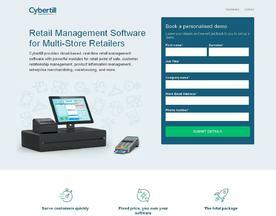 What is Online Point of Sale Software? Online Point of Sale (POS) is the place where a retail transaction is completed. With the birth of the internet and the development of cloud computing POS systems have developed online under the SaaS (Software as a Service) model. Integration with your existing ecommerce and accounting systems is essential and consideration should be given to inventory tracking and customer account management.